created Offline hitting since patch 1.08 - more power?. Offline hitting since patch 1.08 - more power? posted a comment in had to laugh... win to stay alive!. ME: Ok, 14 runs down, two innings to go. I've got this. Final score Marlins 15, Mets 2. Admittedly I got a bit swing happy and wasn't patient at the plate at all. I failed the M2O with four games left in the season. No way I'd lower the difficulty. Each win should be earned. created had to laugh... win to stay alive!. had to laugh... win to stay alive! I'm curious whether this were to happen in a franchise game also. posted a comment in Do SDS even test their game?. I’m responding to the last sentence above in what I hope is the nicest possible way. I am not directing criticism at you in particular, I am just hoping to shed some light on what the developers go through year after year. Game developers are human and have lives outside of serving us too. They would work 16+ hour days easy in the lead-up to and following release. It's a massive undertaking to do what the devs of this game do: analysing our gameplay data and qualitative (mostly not quality) feedback (forum, bug reports), replicating problems so they can figure out what causes them, designing solutions that will please everybody, developing the solutions, testing the solutions, then scheduling into a patch and releasing, then analysing all over again and repeating the cycle - all in a small amount of time despite the fact that so many people want so many things to be changed in vastly different ways. If they plug a hole in one place without proper prior planning there's a massive risk that something else is going to fall off the wagon. It's 70GB of game. It’s way more complex than end users like us can even begin to comprehend. 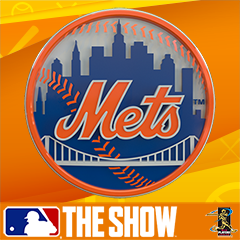 I encourage anybody who feels that the devs aren’t doing a good enough job of serving us to create a game that improves upon the one that we are all choosing to play, so that we can all abandon MLB The Show and play the much better version that awaits. And you had better get cracking, you have nine months. My aim here is not to point fingers or shoot anybody down, rather I hope to have shed some light onto why some bugs elude testing, why fixes require time, why some things are fixed quicker than others, and why gameplay changes are always going to be problematic. posted a comment in Load screen symbols. That's a nice general guide to the game itself - it's the 'gamer guide' that is shown in 'more from MLB The Show' from the PS4 menu. The strategy guide within the game (which covers hitting, pitching, fielding, running, attributes, abbreviations, swing types, and the pitcher/batter analysis) doesn't appear to be on a website. Somebody may have transcribed it though. If not, perhaps somebody could. However not sure how the copyright would go there. Maybe a moderator could clarify whether it can be transcribed and put online with source fully acknowledged. created Pinch hitting with a pitcher - is this correct?. Pinch hitting with a pitcher - is this correct? Thanks Adam, It would be a nice addition to the strategy/help guide (perhaps not possible as the guide is text only), also if the strategy/help guide were available from the main menu. Anyway, here's a screenshot of the icons and their meanings that I just put together in ShareFactory and uploaded to twitter. i would still like to know where this info is in the game now. It used to be that you could press the touch bar and go to help they would be there, but it doesn't seem like that anymore. Also I'm sure it used to be where you go to help within a game's pause menu and choose options --> controls and strategy --> strategy guide but it doesn't appear to be there either. Hopefully somebody has found it. Let's hope it's not another thing that's been removed from Franchise. EDIT: I forgot this was the RTTS forum but it was the same as far as I recall. posted a comment in I have the horrible habit of diving in the outfield g.
posted a comment in Anyone else annoyed by this "bug" ?. I just did a double switch to switch the pitcher from 9th to 7th and threw a pitch without going to the pause menu or anything like that - and the timing was perfect. I wonder if it's also a handedness thing? The pitcher subbed out was a righty, the one subbed in was a lefty. It might have even been a 1.07 fix but I'm sure it's happened to me since. Just go to the pause menu and return. This also fixes it. that way you don't waste the trip. posted a comment in Bug in the game that causes a free run while bunting..
posted a comment in Can we get "Bloop Hit Defense" added to the defensive menu please?. In all seriousness what we need is the ability to place our outfielders anywhere we want. It would be much more complicated with the infield, what with base runners and holding them on. I haven’t consulted the rules but with two outs the batter is allowed to advance even if first is occupado. I think. Which would mean if it were a wild one the inning would continue. Also if the two out dropped third strike rule above didn’t apply, then the third out occurred before the runs were scored and therefore no runs. If either of the above is correct this is definitely a bug. It’s a bug anyway but a rule breaking bug. Great idea, then upload it and provide the link in a bug report. edit: oh I see you already included a twitter link. Have you submitted a bug report? It’s definitely a bug not just an unfortunate byproduct of gameplay. Looks like the batter is familiar with it too? Yep do this. And the more people that do it, the more attention it will get. posted a comment in in game twitter account. Sounds like a cool idea that should be explored further - twitter integration so that people who stream RTTS etc would have the fake tweets on their real twitter, and real tweets integrated into the game as well. posted a comment in MTO: If you’re worried about not getting reward. Has this been tested? When I was referring to the save file I misused the term (my bad). I actually meant the March to October 'universe' that was started. I would assume each time an M2O is started it is given an unique key value that is synced with the SDS servers. So multiple saves for the same March would be treated as the one season. Anytime that M2O is quit through alternative means (talking to you, Mrs Conway), that's a paddlin'. At least, that's how I would do it to prevent exploiting of saves. They would have considered that, guaranteed. Having said that, somebody should test your idea and see whether it results in a warning message and post the results here (if it works, then SDS can plug it up to prevent cheap exploiting of it). posted a comment in Had no idea that there is injuries in RS games..
posted a comment in Fix Postseason Eligibility. Again..
I’ve not understood the relationship between roster expansion and playoff eligibility until now because it’s been too intimidating and TL:DR (thank you for your post @TWBruz and link @AceWigSplitta, you basically got me across the line and now I get it!). My question is therefore does the game behave like it should? Are any 40 man roster players eligible for postseason rosters? In my previous franchise seasons I didn’t get it so I don’t know. Also I’m not at home to sim one as a test. From memory the requirement to submit a 25 man roster prior to each postseason round is not in the game so this would make a great addition. And in relation to the original post, if it doesn’t behave like it should, then that needs to change. I know there’s a lot of supposedly ‘easy fixes’ floating around these forums from people who don’t know how complex it would be, but this one is an easy fix. Sorted in a few days work. Hopefully we will see it in 20 when Franchise mode gets the attention it deserves and needs. However..... unfortunately fixing little incremental things like this doesn’t sell games so if it takes dev time away from new sellable features or income generating opportunities it’s hard to justify it to the powers that be and therefore probably not going to happen. Please prove me wrong devs. Can I clarify, what hitting interface did you used to play with? I'm trying to setup the same way. I don't understand 'Analog+zone with outline for my PCI'. posted a comment in Very low "Vision" yet very high "Plate Discipline"?? . He he. Witty, but also true. The best kind of comedy. That's because he had a high plate (key?) discipline attribute.